You asked for it and you got it! We now have an agreement with Logos through which Antioch School students and Certified Leaders can get discounts on Logos Bible Software. Don’t know what Logos is? Check it out! Logos is cutting edge software to support your Bible study. Their library and tools are unparalleled. It is essential for anyone in an Antioch School degree program. In fact, the Antioch School Interpreting II course (and the entire collection of Leadership Series II courses) is designed around use of Logos. 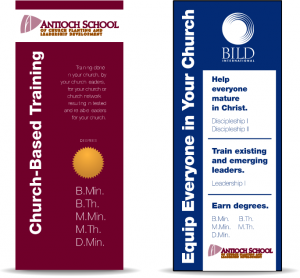 Students enrolled in the Antioch School are eligible for a 50% discount on any Logos Base Collection. 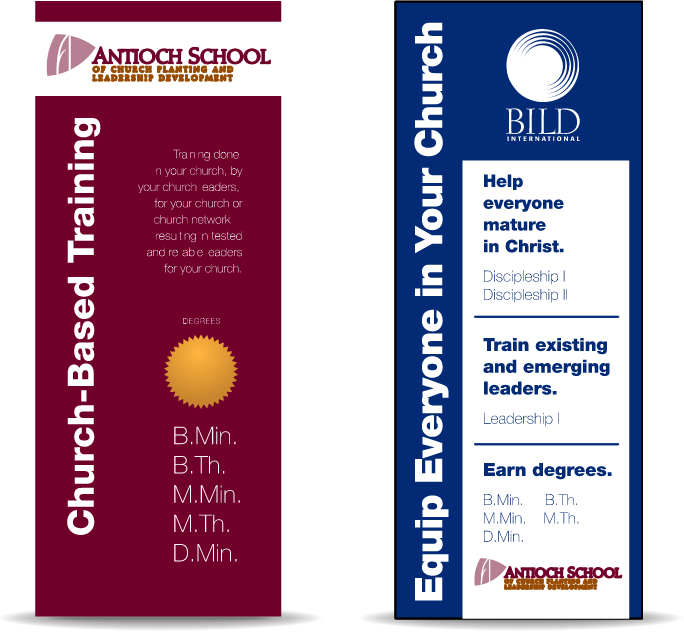 Certified Leaders are eligible for a 50% discount on any Logos Base Collection if they have students enrolled in degree programs of the Antioch School (and 30% if they don’t). Note: Students and Certified Leaders should check their recent email News from the Antioch School for more instructions on ordering. We have some great news for you. 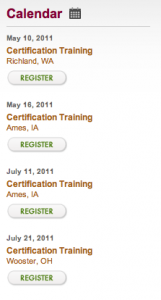 The initial training for Certified Leaders is now offered completely online. Now you can start an Antioch School program in your church even if you can’t get to a live 3-day initial certification training event. It begins with the Webinar Orientation which is offered weekly. If you wish, you can complete all the online modules within a month or take your time and finish in a year. Further, you can launch your program and enroll students after the first module. 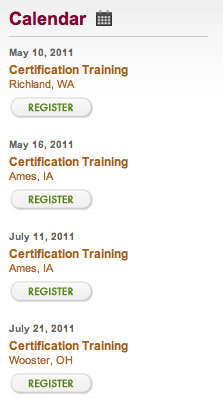 Learn more or register for initial certification training. As Exponential 2011 approaches, how can you as a church leader be thinking from a church-based leadership development perspective? What do they mean by “church? How do they treat the Pastoral Epistles? How do they picture Jesus? Where do they focus on leadership development? What do they mean by discipleship? What is the author’s intention for the passage being cited? What is the global significance of what is being said? Leading up to Exponential 2011 on April 26-29, we will be expanding on one of these questions each day. Even if you aren’t going to Exponential, we invite you to join in the conversation with us. Follow along here on the Antioch School blog. Leave your comments and engage in the discussion! Follow Steve Kemp on twitter for real-time updates during Exponential. 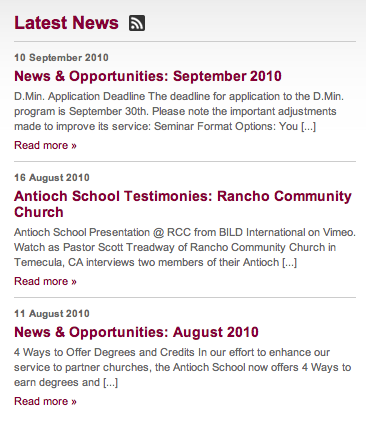 We’ve been hard at work making some updates to the Antioch School website! For this update we have focused mainly on improving the homepage of our website. Here’s a quick rundown of the new features. Instead of the old single image that we had on the center of our website, we’ve replaced it with a rotating section that will feature some important aspects of the Antioch School site, or bigger news items that we want to bring you up to speed on. Our news blog (that you’re currently reading) received a major facelift and we’ve listed along the left hand side of this page the ways that you can choose to subscribe and follow our content, including RSS, Facebook, and Twitter. We also added a display of several of our recent news items to our homepage (see image). A calendar of upcoming Antioch School activities has also been added to our homepage. Use this list to stay on top of when and where opportunities come up for you or others in your network to take advantage of opportunities to attend training opportunities or connect with us in person in your area. Registration links are provided below all events that require attendees to register in advance. Many students and faculty have requested that we add a link to the ePortfolio System to our website. Now, on the left hand side menu of all pages you’ll find a button that links you directly to the ePortfolio. We hope that this will provide many of you with more convenient access. Are You Going to Exponential 2011? The Antioch School is a sponsor and will have an exhibit during Exponential 2011: On The Verge, a church planting conference in Orlando on April 26-29 in Orlando. You can see us at booth D9 located just inside the door of the Faith Hall Lobby. Look for these banners to find our exhibit. These 4 programs form an integrated strategy (or allow you to use parts of your choosing), using BILD materials and Antioch School Degree Programs to help church leaders establish everyone in their faith and train existing and emerging leaders. Through the Antioch School, these are the 4 options that are available to earn academic degrees and credit for learning that is taking place in, for, and by church leaders. If you will be at Exponential 2011, please drop us a line via email. We would love to have you stop by our booth and interact with us about the Antioch School and the programs mentioned above. We are looking forward to the new connections that will be made at Exponential this year and how the Antioch School can play a role in accelerating the church-planting efforts of churches across North America. If you will not be there, but are interested, follow the Antioch School blog and/or follow Steve Kemp on twitter for reflections during the conference. See you there (or online)! In our effort to enhance our service to partner churches, the Antioch School now offers 4 Ways to earn degrees and credit. If you are already certified (or cannot participate in a scheduled Initial Certified Leader Training), please call 515-292-9694 or email us to address how you can launch a program this fall. Learn more about the Antioch School (or share it with others) by taking advantage of our daily eLuncheon introductions and weekly Webinar orientations. eLuncheon-a 40-minute multimedia conversation that explains the basic features of the Antioch School. Webinar-a 4-hour multimedia conversation that carefully explores the biblical and practical distinctives of the Antioch School. We also offer ongoing training for our Certified Leaders and others using BILD resources. The accreditation of the Antioch School was announced in an ad on page 63 of the August 2010 issue of Christianity Today. 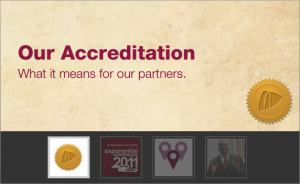 We were granted accreditation on June 4. This means that we are the first truly church-based and competency-based institution to receive accreditation by an agency recognized by the Council on Higher Education Accreditation (CHEA) and the U.S. Department of Education (USDE). Third party assurance of the quality of the Antioch School. Although we are unique in many ways, we have been recognized for the quality of our programs and integrity of our operations. Transfer credit and recognition of degrees by other academic institutions has been streamlined. Every school can decide for itself how it wants to recognize credit and degrees of other institutions. However, most rely on a book called Directory of Higher Education Institutions published by CHEA. The Antioch School will be listed in the next edition this fall. 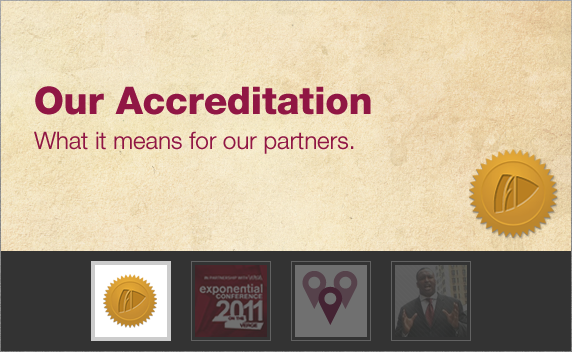 The Antioch School is Accredited! The Accrediting Commission of DETC met on June 4-5, 2010 and granted accreditation to the Antioch School of Church Planting and Leadership Development. The Antioch School is the first truly church-based and competency-based academic institution to receive accreditation by an agency recognized by the Council on Higher Education Accreditation (CHEA) and the U.S. Department of Education (USDE). We are very proud of this accomplishment because DETC does not grant accreditation quickly or easily. Our process took several years that included extensive Self-Evaluation Reports, a thorough Curriculum Review, an intense Site Visit by a six-member team, and specific Progress Reports. Accreditation means that the quality of the Antioch School’s degree programs has been affirmed by a rigorous peer review process of a respected, independent agency. The Antioch School will be listed in the next edition of the Directory of Accredited Post-Secondary Institutions published by CHEA. This will greatly facilitate transfer of credit and acceptance of prerequisite degrees by other academic institutions. However, DETC accreditation is just the most recent form of affirmation of the quality of Antioch School programs. We have already been endorsed by leaders of churches, church planting movements, and church networks, as well as other high profile ministry leaders. Please rejoice with us in the news of this great achievement.